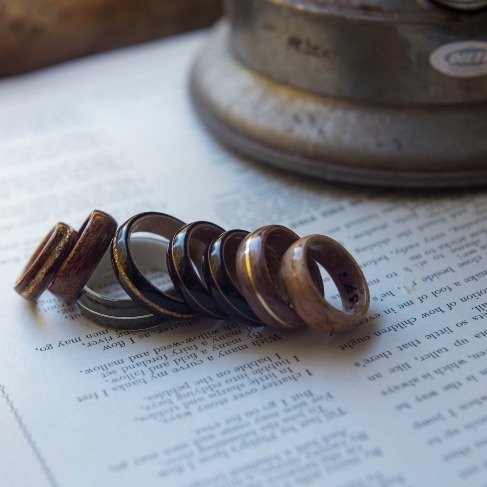 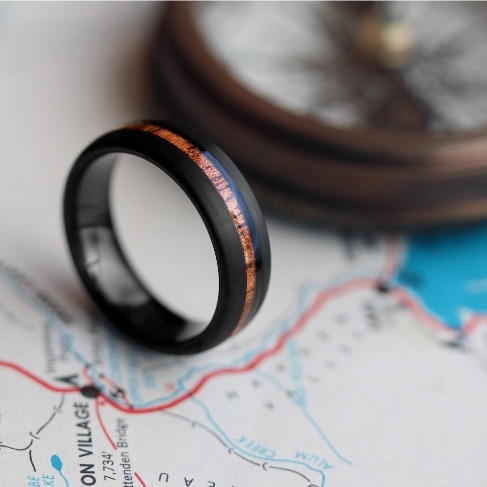 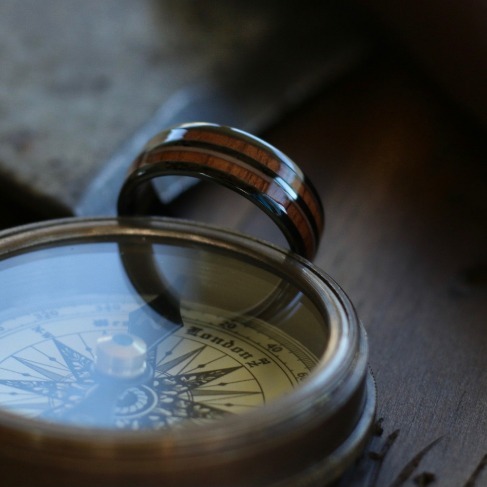 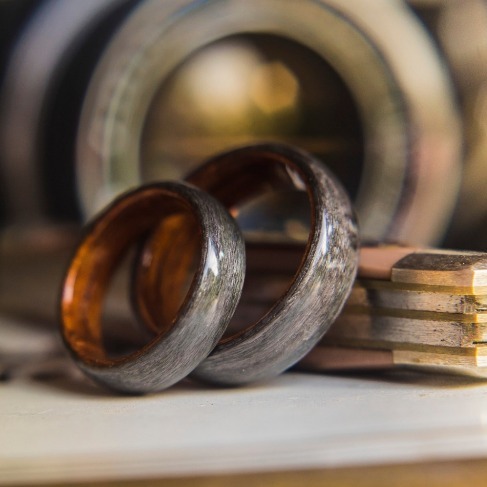 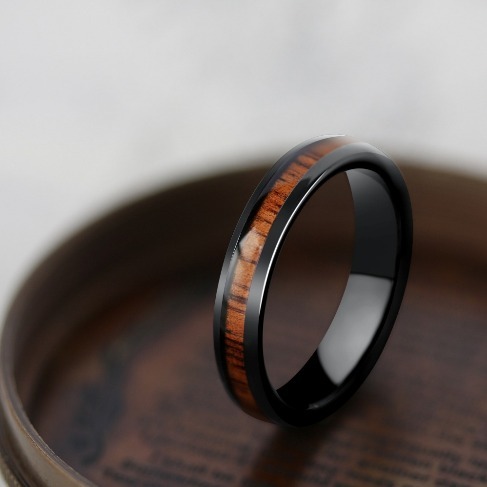 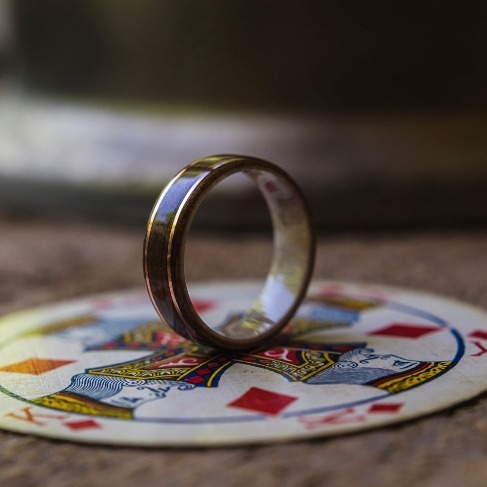 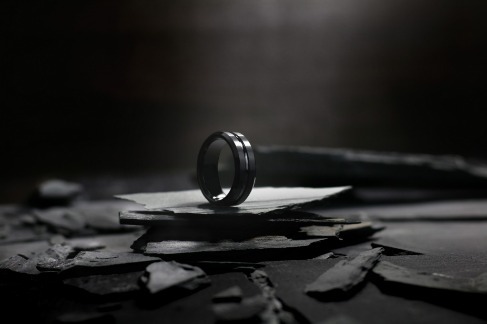 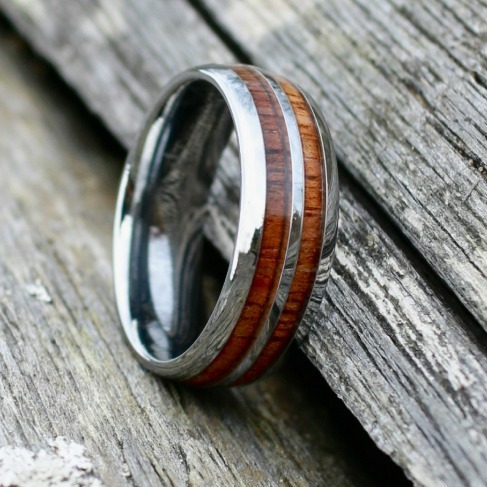 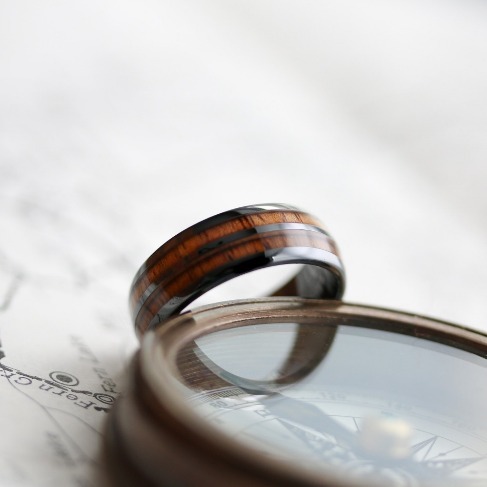 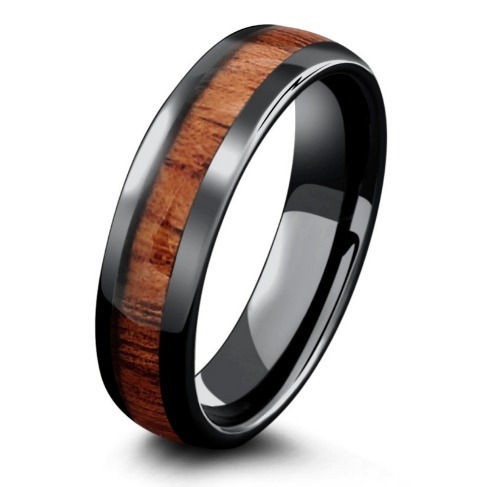 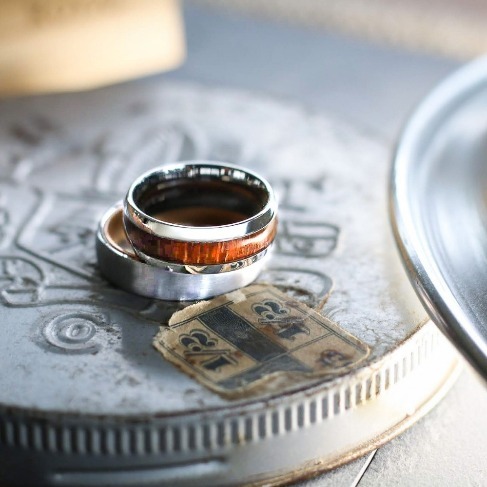 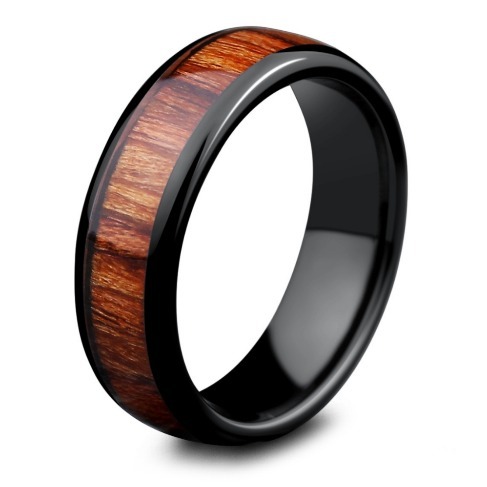 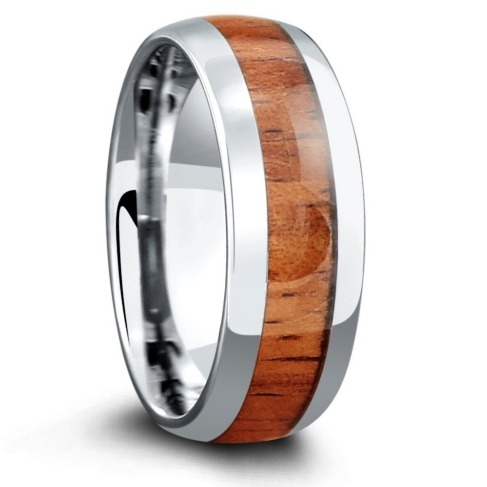 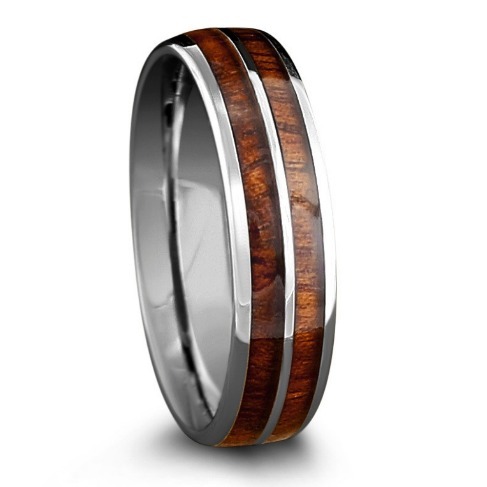 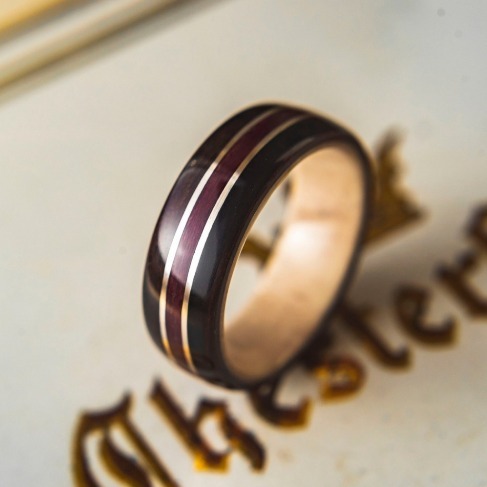 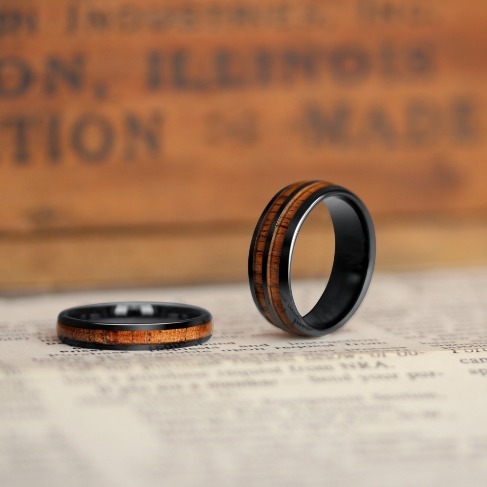 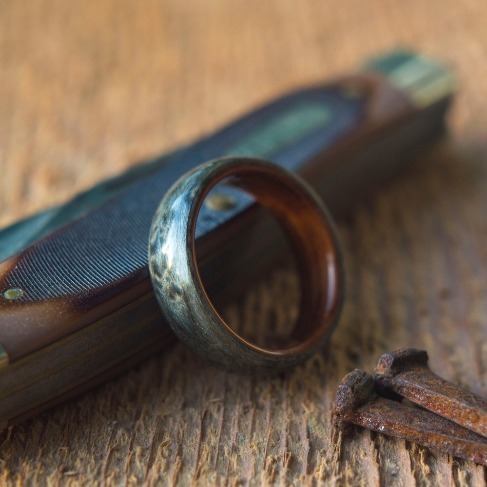 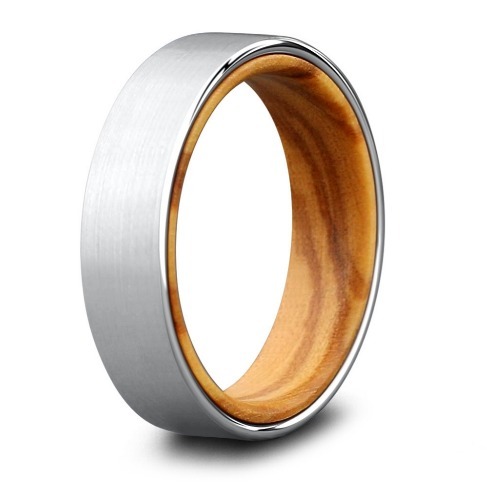 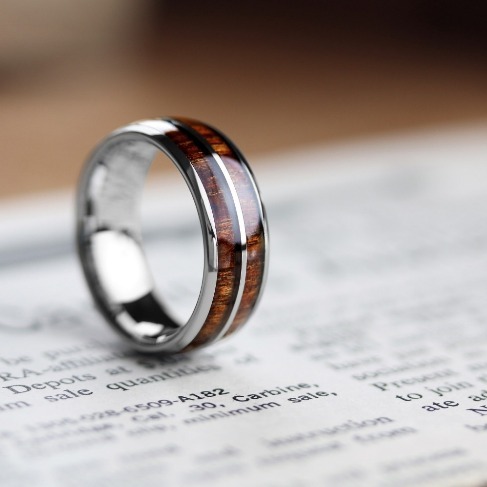 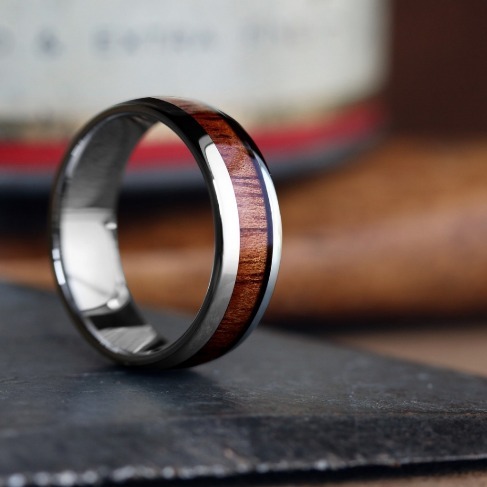 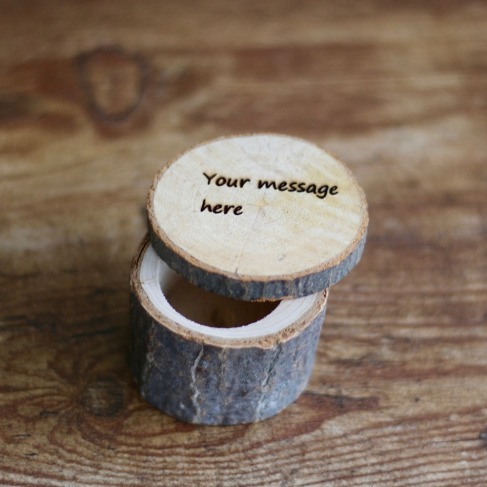 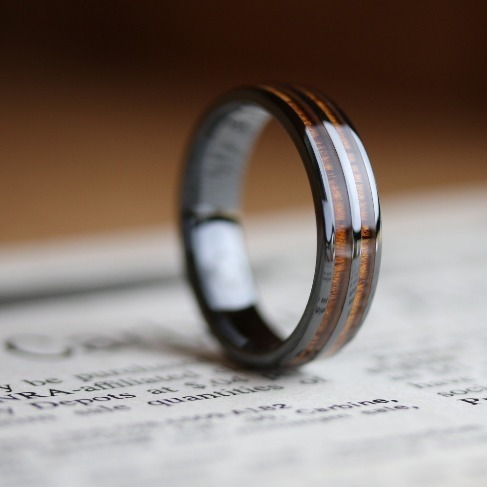 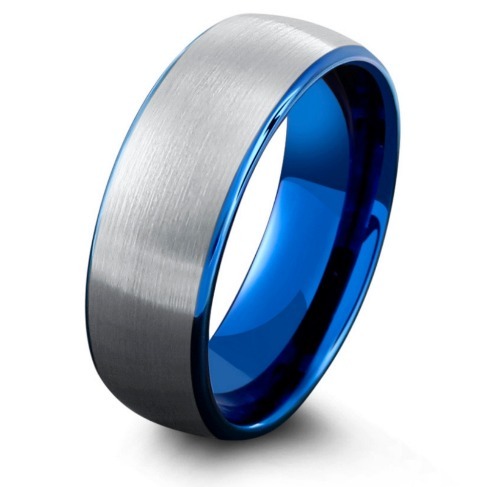 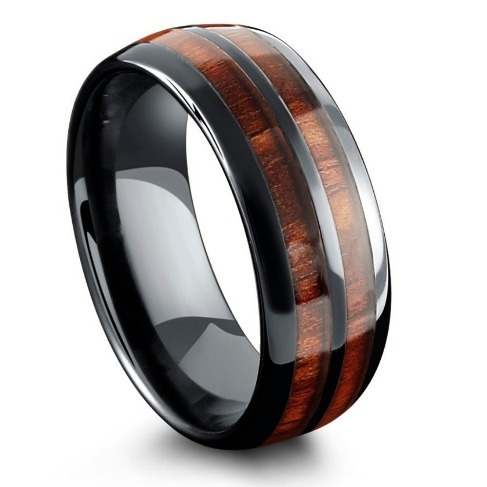 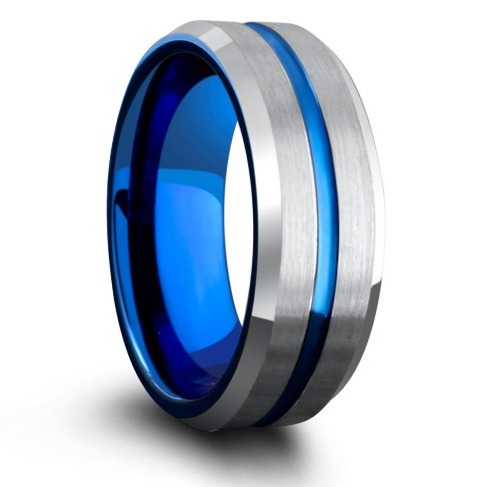 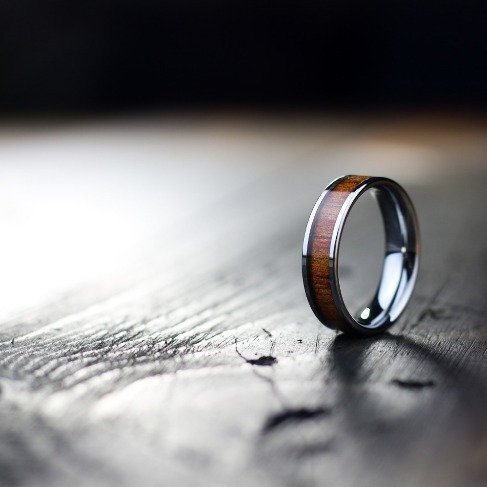 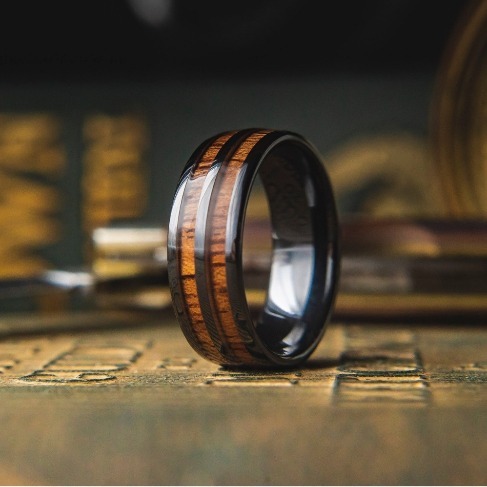 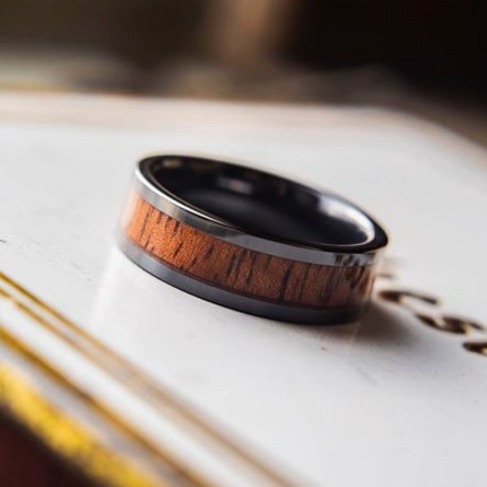 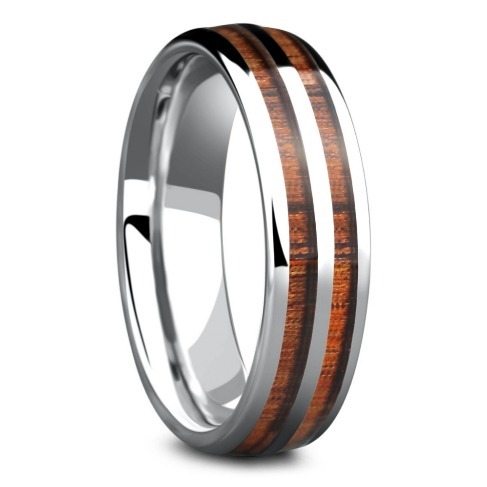 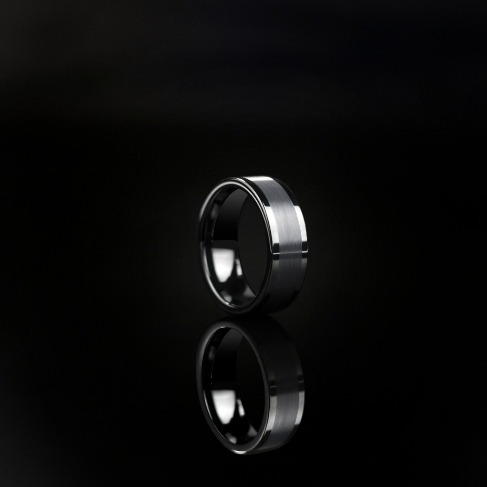 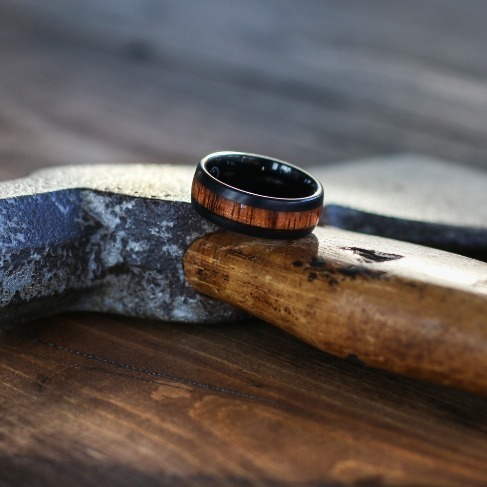 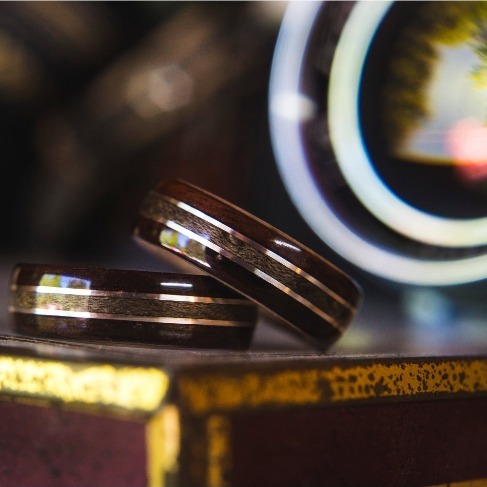 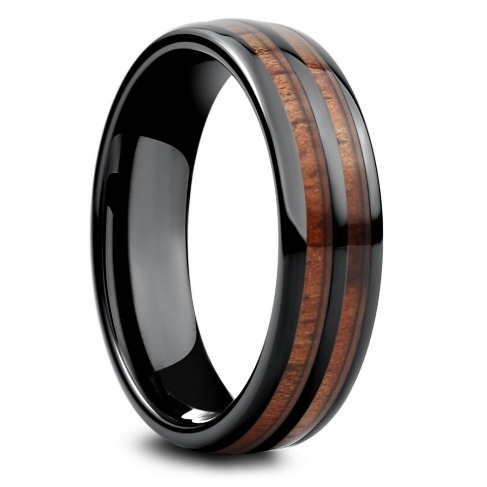 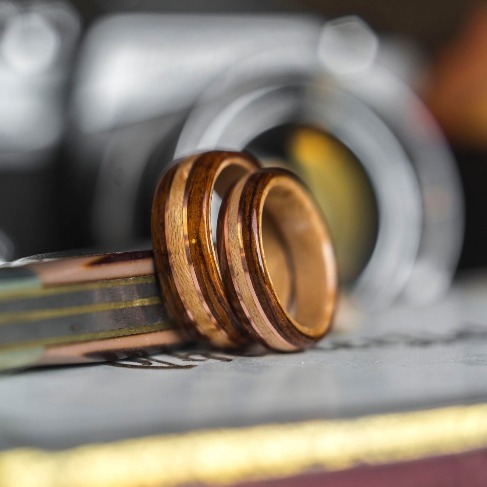 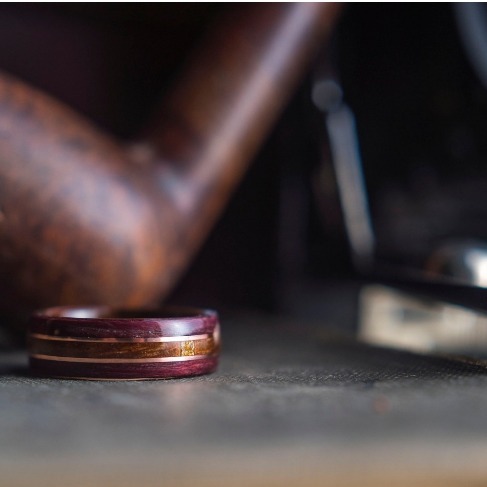 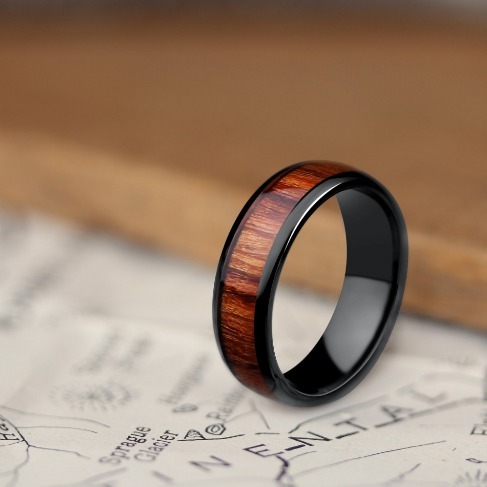 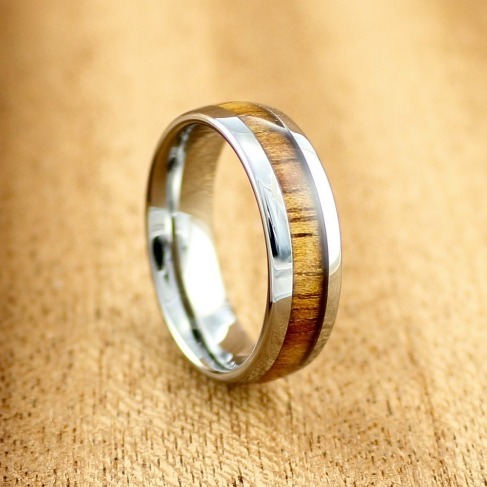 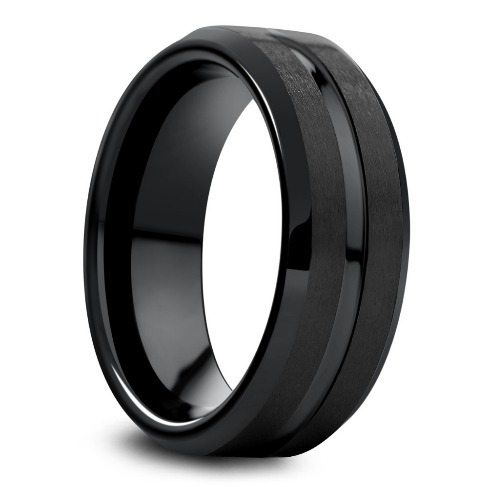 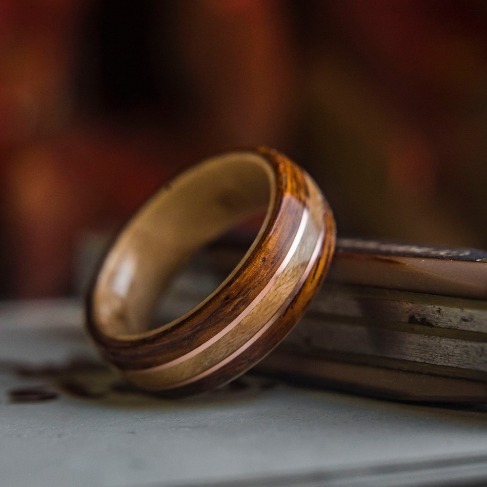 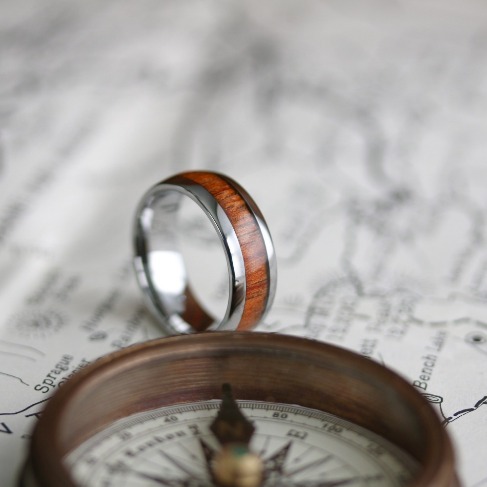 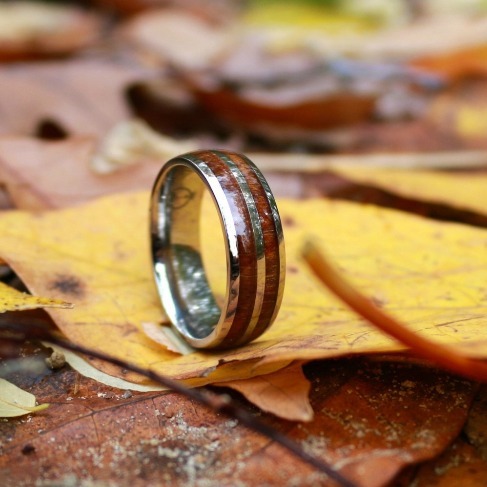 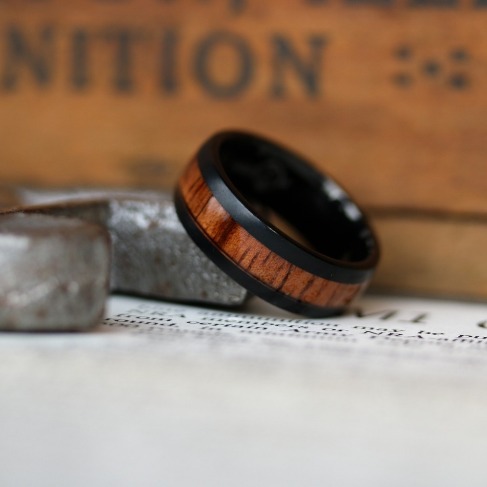 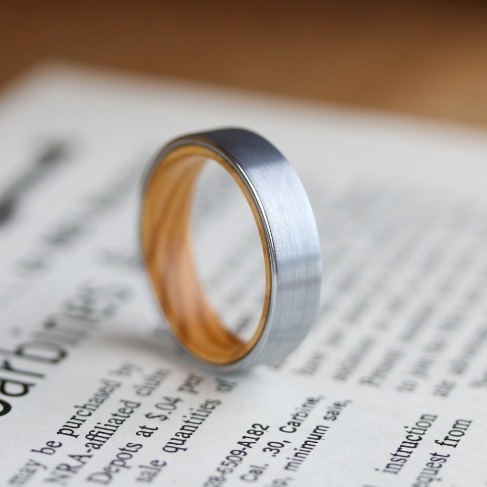 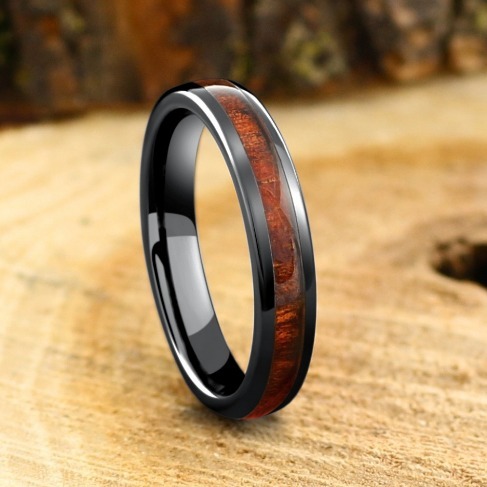 Handcrafted bentwood wedding ring. 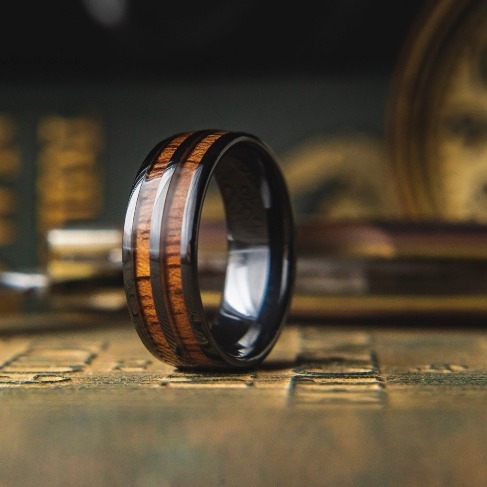 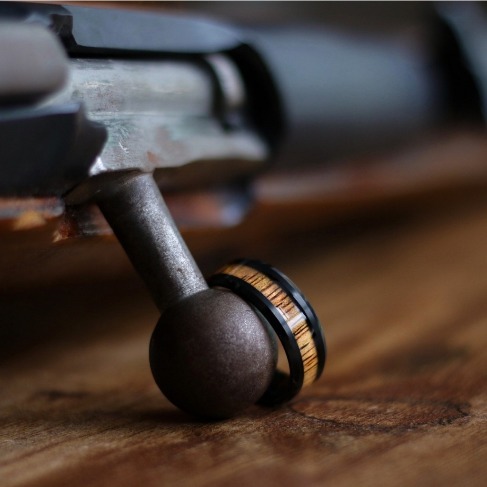 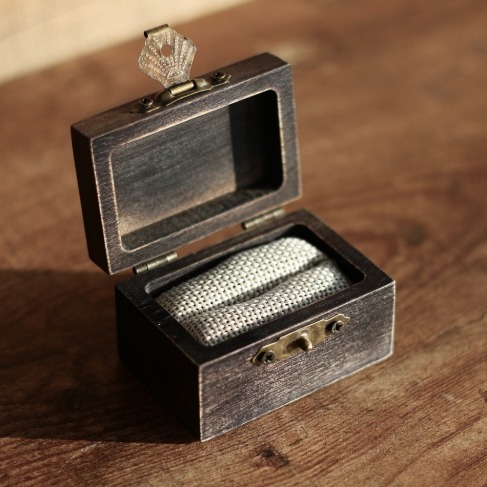 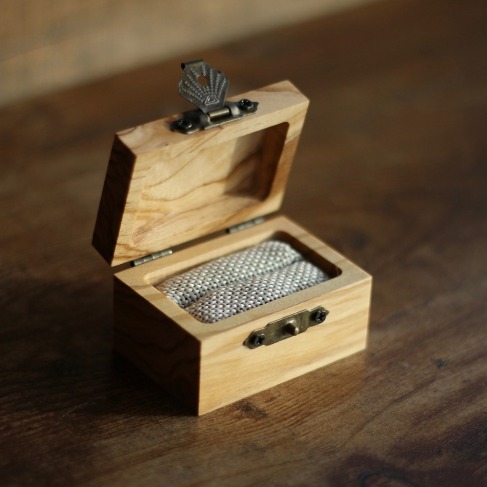 Crafted out of koa wood and maple wood. 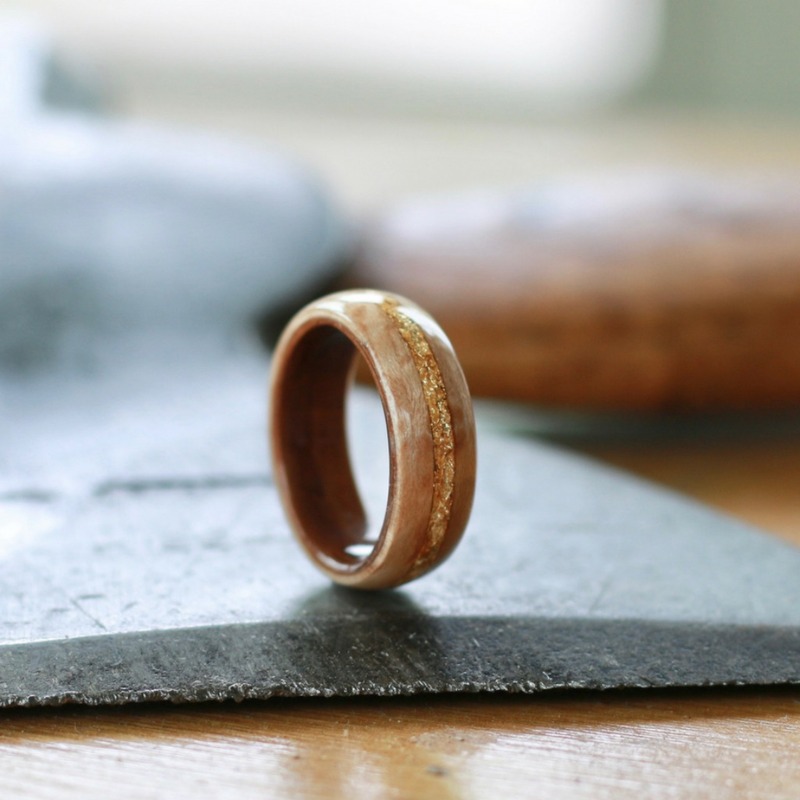 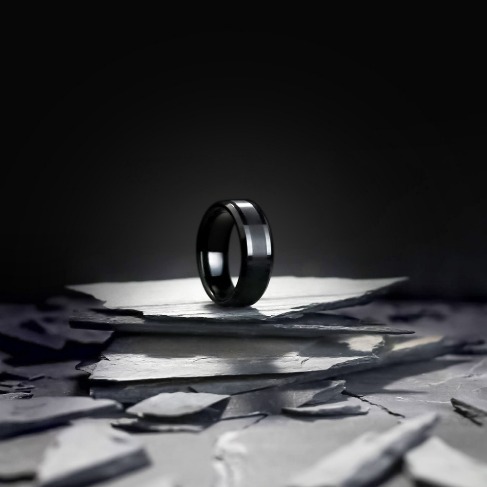 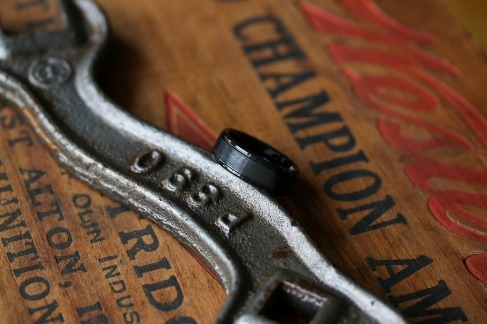 18k gold flakes are Inlaid through the center of the ring.